“I’ve got a lot of friends. And my real friends are completely supportive — especially those who disagree,” Alan Dershowitz said. Alan Dershowitz says his social calendar is full. Last week, the famed lawyer and emeritus professor at Harvard Law School published a widely derided op-ed in The Hill, reporting that he’d been “shunned” by friends on Martha’s Vineyard over his public statements defending President Trump. But in an interview Tuesday morning, Dershowitz said the campaign against him has mostly failed: He has two cocktail parties today, and another one tomorrow. Plus a lunch. The “push back” was a relentless chorus of withering mockery. Shunned on Martha’s Vineyard? The violins for this particular tragedy are so tiny that they are invisible without high-powered magnification. Just think of poor old Alan peering under the deck railing as Madeline Von Houghtonwhatever holds court at her beachfront estate. Lobster rolls no bigger than a human pinky. Purebred dogs that could curl up inside of teacups. Men wearing white pants with impunity. And watching mournfully from the carefully manicured shrubbery is one of the nation’s great legal minds, a single tear tracing its way down his jowl. No justice, no petit fours. One downside to publicly defending President Trump? The liberal elite on Martha’s Vineyard won’t like you anymore, according to the renowned Harvard lawyer. Dershowitz indicated that this scene has not played out. And though he can be found with metronomic regularity on Fox News and other outlets saying things that sound an awful lot like support for the president, he insists that he is in no way a Trump supporter. He voted for Hillary Clinton, he said, and gave generously to her campaign. But his position on civil liberties and prosecutorial overreach won’t change, he said, just because of who’s in office. If anything, he said, civil liberties are most at risk in the case of a particularly unpopular president. Dershowitz opposed the appointment of a special counsel to investigate the Trump campaign, and feels the same about a special counsel to investigate the Clinton campaign. His new book, “The Case Against Impeaching Trump,” could have just as easily been about Clinton, had she been elected, he wrote in The Hill. That nuance, he said, is lost on the handful of people trashing him in Chilmark. 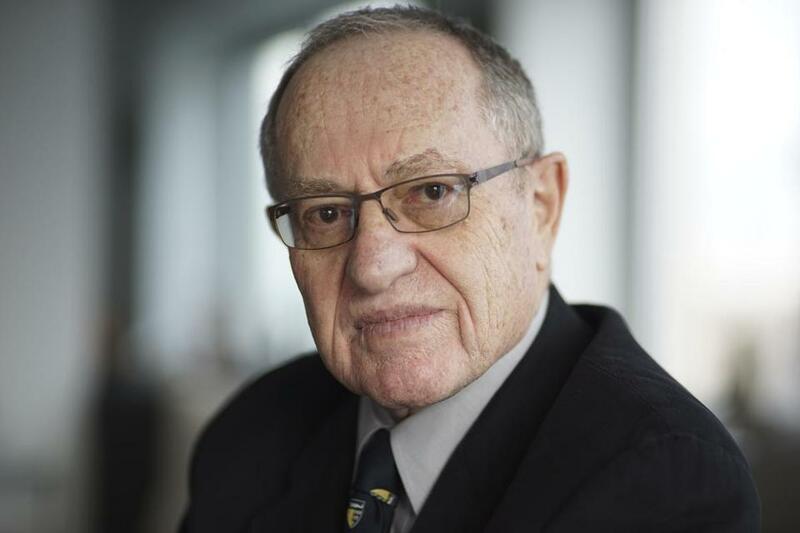 Dershowitz said he learned, via friends, that a handful of acquaintances were demanding “trigger warnings” about his possible presence at any Vineyard events, and declining to attend events if he’d also been invited. Another detractor circulated a letter. And if you thought this couldn’t get any weirder, Dershowitz said he offered to debate those who would not share his company at parties at an event at the Chilmark Community Center. “I’m going to do it, even if I have empty chairs. I’m going to take a venue on Martha’s Vineyard. I’ll have chairs. 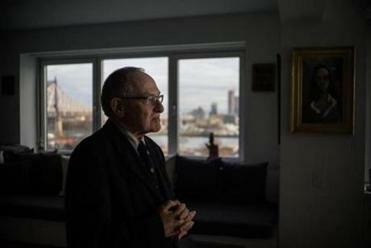 And if nobody wants to come, the chairs will be empty,” Dershowitz said. It’s pretty hard to be concerned about the Martha’s Vineyard social circuit when the administration of the man he so often seems to be defending is perpetrating one horror after another. When hundreds of immigrant children are still separated from their parents, complaints about upper-crust infighting where the toilets run blue will always be met with mockery. And if people want to mock him — and they do — well, he can fight back. But Alan Dershowitz will not shut the [expletive] up, even if the chairs are empty and the invitations dry up.